Wildfires are heating up once again in the American West. In 2015, wildfires burned more than 10 million acres in the United States at a cost of $2.1 billion in federal expenditures. As the fires burned, the U.S. Forest Service announced that, for the first time, more than half of its budget would be devoted to wildfire. And the situation is likely to get worse. Within a decade, the agency estimates that it will spend more than two-thirds of its budget battling fires. In this PERC Policy Series essay, Dean Lueck and Jonathan Yoder use economics to examine wildfire management and the current wildfire policy debate. As leading scholars in the area of wildfire policy, they provide an economic framework for evaluating effective wildfire management and use it to confront current wildfire policy issues. The authors address several important questions: Are wildfires really getting larger and more frequent? How can the efficiency of wildfire policies and management be evaluated? Do wildfire organizations and their incentives matter? And are proposed policy reforms likely to improve the effectiveness of wildfire management? This paper is part of the PERC Policy Series of essays on timely environmental topics. It is published by the Property and Environment Research Center (PERC) in Bozeman, Montana, and with support from the M.J. Murdock Charitable Trust and the Searle Freedom Trust. As large and destructive wildfires increasingly make headlines, Lueck and Yoder offer a compelling economic framework for considering why and what to do about it. They argue that the complex interaction between the landscape, property owners, and government agencies requires careful attention to policies that might facilitate appropriate levels of wildfire suppression and preparation. Managers and academics alike will find their analysis useful in considering reforms to wildfire policy. Download a two-page summary of the report. Read a short summary at the New York Times’ Dot Earth blog. In the past two decades, a rapid escalation of extreme wildfire behavior, accompanied by significant increases in risk to responders and citizens, home and property losses, costs, and threats to communities and landscapes have been observed. The fact that 2015 was a particularly costly wildfire year has exacerbated concerns. Since 2000 there have been an average of 73,000 wildfires per year in the United States and an average of 6.7 million acres burned—the equivalent of burning an area the size of Massachusetts each year.5 In 2015, 68,000 fires burned more than 10 million acres, including 5.1 million acres in Alaska. Federal wildfire suppression costs for the year were $2.1 billion, more than double the 10-year average. The institutions and organizations that govern wildfire suppression are exceedingly complex. Local firefighting agencies and crews often coordinate response efforts with both state and federal firefighting agencies. The National Interagency Fire Center (NIFC) in Boise, Idaho, coordinates specialized crews and firefighting equipment that are regularly moved around the country from one active fire to another. This network comprises a bewildering array of laws, policies, and contracts that create a complicated mix of incentives and outcomes. Scholars and other commentators suggest that inefficiencies abound in the system, leading to overinvestment in suppression and under-investment in pre-fire risk mitigation (Arno and Allison-Bunnell 2002; Bradshaw 2012; Calkin et al. 2005; Ingalsbee 2005; Pyne 2013; Yoder 2014). How can the efficiency of wildfire management and policies be evaluated? Do organizations and their incentives matter? Are proposed funding and policy reforms likely to improve the effectiveness of wildfire management? 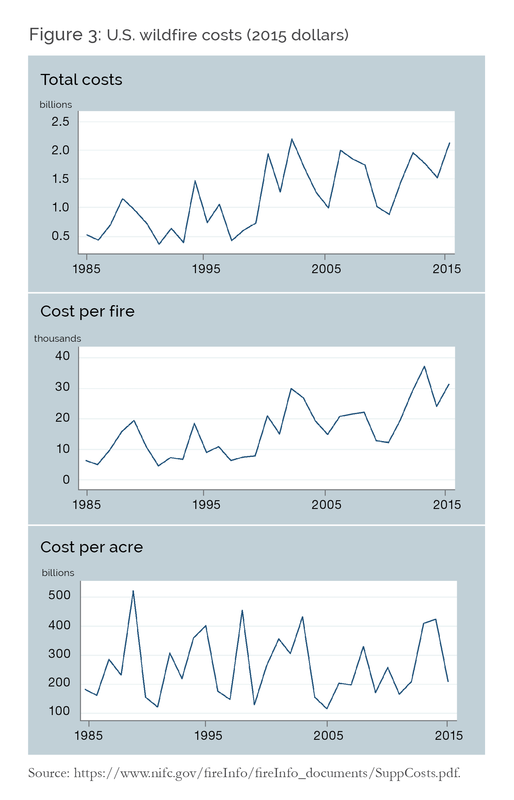 To answer these questions, we begin by examining data on wildfire in the West and then develop an economic framework for thinking about efficient wildfire management. An important point of this examination is to emphasize that in order to assess the economic effectiveness or efficiency of firefighting, what did not burn in a fire because of firefighting effort is at least as important as what did burn. This complicates the assessment problem because of the uncertainty surrounding wildfires and the complexity of the landscapes through which they burn. We then examine the evolution of wildfire suppression institutions, beginning with the possibility of purely private wildfire management. We discuss the basic economic and incentive problems with private action that provide justification for assigning the responsibility for wildfire response to public agencies. We then also discuss the incentive problems that result from vesting the public sector with the responsibility for firefighting. In short, private property owners have poor incentives to invest privately in wildfire suppression activities, and contracting with many landowners for wildfire response is costly. Nonetheless, public agencies suffer from incentive problems of their own, largely because the direct connection between firefighting service providers and the property being protected is severed. We conclude with a discussion of the major policy proposals currently under consideration and the likelihood that they will lead to more efficient firefighting decisions. Wildfires in the West: Where are they and are they getting worse? Many of the largest and most destructive fires occur in the 11 western states that hold the most federal lands. 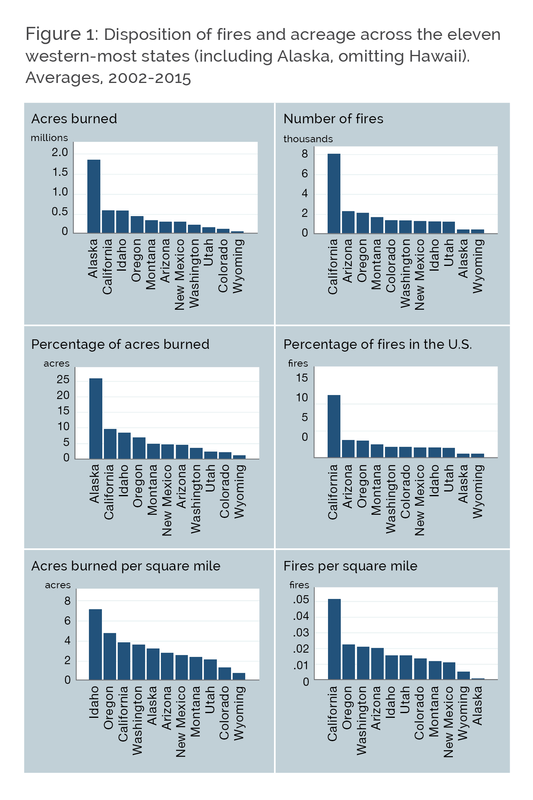 In terms of acres burned, Figure 1 (upper and middle left panels) shows that Alaska is subject to the most acres burned and the highest percentage of all acres burned (average, 2002-2015). Idaho, Oregon, and California lead in terms of the number of acres burned per square mile of land (lower left panel). California stands out in terms of the number of fires, fires as a proportion of all U.S. fires in the sample, and the number of fires per acre of land. The wide variation in fire occurrence and fire size is important when scrutinizing wildfire policy because it indicates that the forces that lead to fires and fire damages vary widely as well. Firefighting costs by state are not available, and trends over time are most clearly summarized using aggregate data for the United States. Figure 2 shows the aggregate number of acres burned, the number of fires, and average fire size from 1985 to 2015. The number of acres burned has been noticeably increasing since about 1985, although with substantial annual and regional variation, while there is no discernible trend in the number of fires. The implication is that average fire size has been increasing over time, which is documented in the literature in detail. For example, Dennison et al. (2014) find that the number of large fires (>1,000 acres) is increasing in most regions of the United States, especially in the western mountain and southern regions. The panels in Figure 3 relate to firefighting costs. Suppression costs per acre burned (bottom right) shows no discernible trend. The cost per fire and total suppression costs have been increasing, again with notable inter-annual variation. The number of acres burned provides some information about the nature of wildfire activity and its consequences, but it is far from a complete summary statistic for the harm imposed by wildfires. For example, it does not account for human injury and death, or the economic costs or hardships that accompany evacuations of communities facing fire risk. More generally, it does not measure economic losses due to wildfires, either in terms of natural assets such as forests or grasslands or soil loss after fires. Nor does it measure the economic losses from burned buildings, which tend to be relatively high-value assets in fire-prone environments. Unfortunately, summary data on the economic damages associated with wildfires are not readily available. 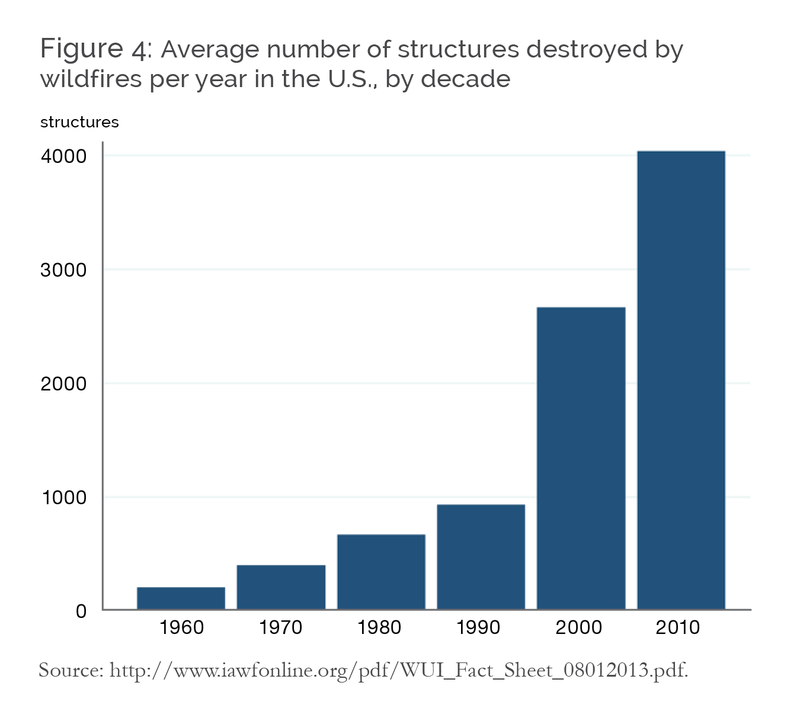 One available useful measure, however, is the number of man-made structures destroyed by wildfire (see Figure 4). The International Association of Wildland Fire (IAWF 2013) reports that the number of structures lost to wildfires has increased substantially, from about 209 per year in the 1960s to an average of about 4,000 per year from 2010 to 2012, the last years for which data are reported.7 The number of man-made structures destroyed by fire has increased substantially in recent decades, and these increases coincide with a substantial increase in what is known as the wildland-urban interface (WUI), within which developed properties are adjacent to and intermixed with fire-prone natural landscapes (Theobald and Romme 2007). This summary of wildfire outcomes in the United States is far from comprehensive, but it illustrates several important characteristics of the wildfire landscape. The western United States is a worthy region to focus on due to its high wildfire activity. While the number of fires remains variable but stable, the average size of fires and the total acres burned are increasing, as are federal firefighting costs. Firefighting can be described as the allocation of costly labor and capital through preparedness, suppression, fuel management, and site rehabilitation to reduce damage (or net damage) from wildfires.9 In a simple and abstract sense, an economic goal for a given fire would be to minimize the sum of firefighting costs and damages from wildfires across the landscape. An even more general economic goal of wildfire management could be to maximize the net value of the land, or landscape, on which fire can propagate. Within this framework, firefighting effort should be made as long as the marginal benefit of firefighting (in terms of damages avoided) outweighs the marginal labor and capital costs of continued firefighting efforts (Donovan and Rideout 2003). Because the physical, temporal, and economic landscapes over which wildfires occur are complex, however, these relatively simple economic ideas of optimal fire suppression are complicated in practice. To characterize the complexity of the economic problem, we rely on two pairs of concepts. The first relates to the wildfire landscape. 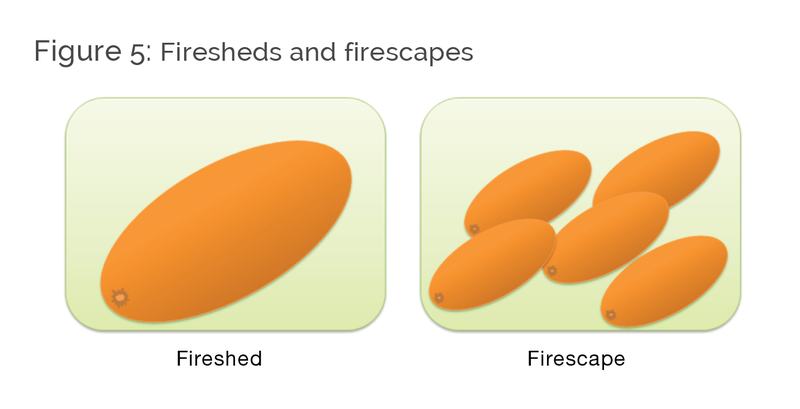 The fireshed is a well-defined area of land that will occasionally carry a natural fire (Figure 5, left panel).10 The prototypical fireshed starts at an ignition point and then expands as an ellipse, driven by prevailing winds on flat terrain, though in reality the size and shape are more variable. 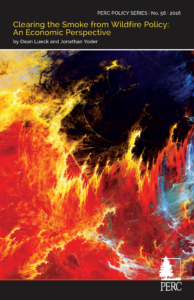 A firescape is a larger landscape in which there are a multitude of firesheds, perhaps overlapping (Figure 5, right panel). The second concept pair relates to wildfire response. Firefighting effort can be focused on the extensive margin (limiting fire size) which we call suppression, or the intensive margin (protecting assets without substantively affecting fire growth) which we call protection (Bayham and Yoder 2012). Fire size has long been used as a proxy or summary statistic for fire outcomes, but given the complexity of firescapes and the various assets contained within them, fire protection on the intensive margin is at least as important, and perhaps increasingly so, as we explain below (Petrovic et al. 2012; Petrovic and Carlson 2012). 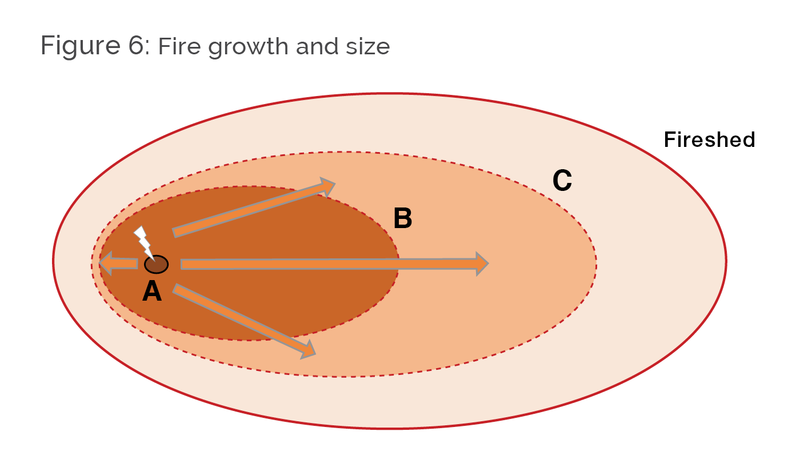 Figure 6 illustrates a fire that starts at an ignition point A and has the potential to grow all the way to the boundary of the fireshed, represented by the outermost ellipse. Suppression effort may reduce the size of the area burned, but it comes at a cost. If sufficient resources are close at hand for a rapid response, it may be possible for the fire to be stopped quickly, near point A. But ignition points are not known in advance, and it is costly to distribute a network of suppression assets for rapid response. As the fire gets larger and moves toward concentric ellipse B, the flaming front of the fire becomes longer, requiring more assets to stop the fire progression along the entire front. 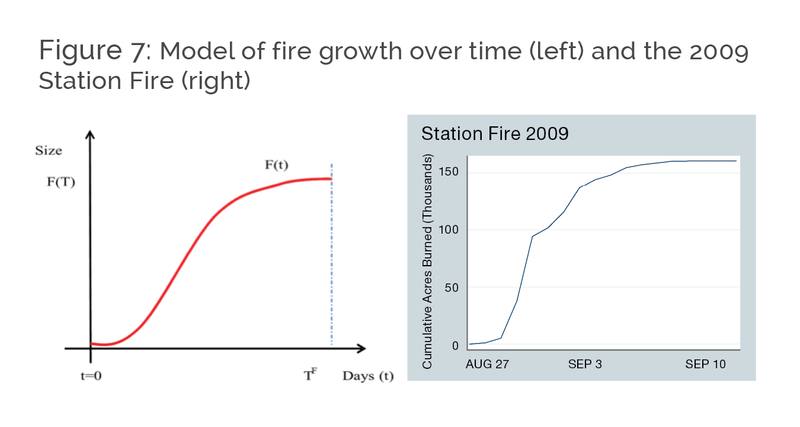 Figure 7 shows another way of looking at the behavior of a fire by plotting the size of the fire against the number of days it has burned. From the time of ignition, the fire will naturally burn over T days to a size of F as given by the curve F(t). This corresponds to the fire growing to its maximum size in Figure 6. The fire growth path will depend on the habitat (e.g., fuels), topography, and weather conditions. Fuels available depend on both nature and land management such as timber harvesting, grazing, prescribed fire, and past fire suppression. The figure also shows that the rate of growth of the fire—the steepness of the F(t)—varies over the course of the fire, starting slow, then burning rapidly, and then burning slowly again as the fire approaches its maximum size. Because the fire’s growth rate varies, the effectiveness and cost of suppression will depend on the time of suppression, in much the same way as the effectiveness of emergency medicine depends on the timing of the treatment. Figure 7 also shows the behavior of the 2009 Station Fire and how it mimics the hypothetical fire discussed above. The Station Fire started on August 26 just north of Los Angeles and burned 160,000 acres before it was declared out on October 16.11 As the figure shows, the early stages of the fire saw tremendous growth of nearly 100,000 acres in less than one week before leveling off as it approached its maximum size. The concept of optimal fire suppression is important in understanding and assessing wildfire policy. The general concept suggests that suppression should be applied whenever an additional dollar of suppression expenditures avoids at least a dollar of wildfire damages. The precise level of suppression can and is expected to vary widely depending on the values at stake, the costs of suppression, and the information and uncertainty surrounding possible future outcomes. For instance, in remote areas where suppression costs are high and asset values are low, optimal suppression might be no suppression—what some call a “let-burn” policy. Indeed, until the 20th century this was effectively the default policy across many landscapes. At the other extreme, when suppression costs are relatively low and asset values are high, optimal suppression might be “all out” suppression. This is essentially the policy for urban firefighting and now to some extent for wildfire suppression in the wildland-urban interface (WUI). Understanding that optimal suppression can vary across landscapes is a simple but important rule for wildfire policy analysis. The analysis of optimal suppression gets more complex with a mix of assets and ownership. When a firescape spans across many different landowners, optimal suppression requires the coordinated action of all of these owners. Without such joint action each landowner would underinvest in wildfire management and suppression. Heterogeneous assets add to this coordination problem. Figure 8 (top left) adds three concentrated high-valued assets (blue boxes), such as homes, two of which are within the fireshed. Assume that the surrounding land inside and outside the firesheds contains a homogeneous, diffuse asset of lower value (grass, for example). If the fire is not extinguished immediately it may be more efficient to protect the concentrated asset and let the fire burn through the fireshed, especially if it reduces future wildfire risk or if the value of the diffuse asset is low. This implies that efficient suppression will depend on asset distribution and asset values. Diffuse assets call for distributed pre-positioning in anticipation of ignitions, and mobile resources are crucial because the location and time of ignitions are unknown. For concentrated assets surrounded by low-valued diffuse assets, ignition and initial attack at the source matters less, and firefighting resources should be prepositioned to best protect valuable asset points. Further, with concentrated assets, the final fire size is not a useful measure of economic outcomes and is thus a misleading measure for fire impact or damage (Reinhart et al. 2008). How can suppression and wildfire management be assessed? From an economic perspective, optimal suppression minimizes the sum of damages from fire and suppression costs.14 Yet none of the above measures reveal how close actual suppression effort comes to achieving the economically efficient amount of suppression or the amount of acreage burned. Although we can potentially estimate the costs of wildfire by summing the damage caused by fires and the costs incurred fighting those fires, this is not enough to know the economic effectiveness of firefighting efforts. Instead, we need to know how much damage would have occurred if suppression efforts were not exerted, and in particular we need to know the incremental reductions or increases in damage that result from increases or reductions in suppression effort. Because of these difficulties, public discourse and policies often tend to focus on other more easily calculated metrics, such as suppression costs per acre burned. While this metric may be useful for some purposes, it says nothing about the effectiveness of wildfire suppression efforts. Another limitation of the available data is that they tend to be highly aggregated over space and across the details of suppression. For instance, California generally has the largest number of fires each year, while Alaska has the most acres burned. The firescapes and asset values are strikingly different in these states. In California land values are high, and human-caused fires are the most common, while in Alaska land values are generally low and lightning is the primary cause of fire. Other states and regions have their own particular sets of characteristics that determine the causes of fires and the net benefits of suppression. Thus, beyond the important conceptual issues noted above, it is difficult to assess the effectiveness of wildfire suppression policy based on these highly aggregated data. Given the limited linkage between the available data and economic efficiency, we can reasonably infer little from the aggregate data presented in Section 2 about the effectiveness of wildfire suppression and management. 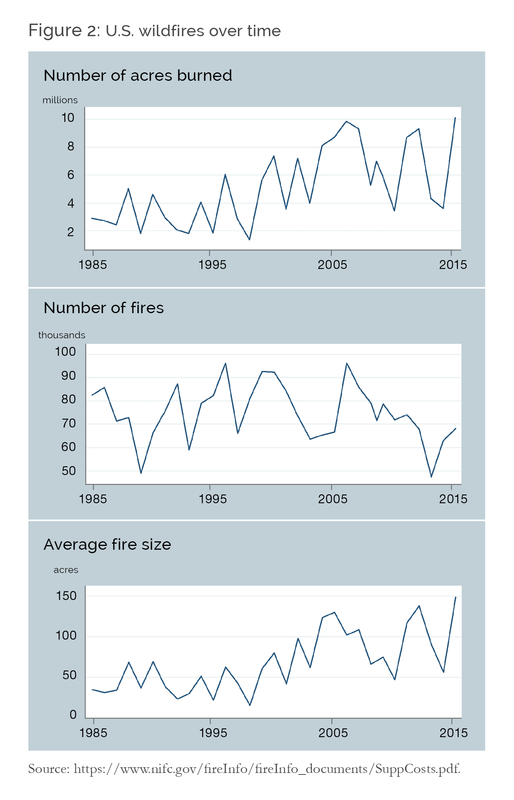 For example, Figure 2 shows that average fire size and cost per fire is increasing, while there is no substantive trend in the number of fires per year. Below we discuss alternative explanations to illustrate the difficulties of relying on aggregated data to assess wildfire policy. An alternative explanation is that the marginal value of firefighting has increased, which would appropriately induce more firefighting effort per fire. For example, the marginal value of firefighting would be higher, all else equal, when the so-called “values at risk” are higher—such as an increase in the number of residences in the WUI. Suppose that these increases in “values at risk” tend to be relatively concentrated on the landscape, so that there is an economic benefit to allocating resources for asset protection at the expense of suppression. This could lead to higher expenditures per acre burned because suppression (designed to reduce fire size) is sacrificed in favor of protection. A corollary of this analysis is that lower resource values would lead to lower returns to suppression and protection, and therefore less suppression and protection effort and cost. If timber values are lower, for example, a “let-burn” policy to save suppression costs would make more economic sense. It is often argued that fire intensity has been increasing due to climate change, or because a century of suppression activity has made fires more severe (Dennis and Kim 2013). What does this possibility imply about fire suppression productivity? If firefighting effectiveness is lower on more intense fires, as is often posited (Mercer, Haight, and Prestemon 2008; Gorte and Bracmort 2012; Reinhardt et al. 2008; Rogers 1982), we would likely see larger fires to the extent that suppression is less effective at reducing final fire size. However, this situation may actually induce less firefighting effort per fire because the marginal productivity of firefighting is lower, resulting in lower firefighting costs per fire and per acre burned.16 In other words, this scenario would potentially lead to larger, more intense fires both because of the underlying reason for the change (climate, biomass structure) and because less firefighting effort would be justified. Thus, based on a simple and admittedly abstract economic model of firefighting, factors affecting fire intensity alone are not sufficient to explain the combination of increasing fire sizes and increasing suppression costs. While more detailed analysis of this point is warranted, this connection between fire intensity, suppression productivity, and suppression costs has not yet been described or explored in the literature. Finally, it is necessary to recognize that firefighting might not be administered in an economically efficient manner. Suppression services are provided by bureaucratic agencies, and these agencies often function less efficiently than comparable private firms. Bureaucratic decision-makers and public-agency firefighters are not the owners of firescapes and are not compensated in a way that forces them to face the full costs and benefits of their actions, as we discuss in detail below. If decision-makers do not face the full costs of suppression effort, then it is possible that they may be less responsive to variations in costs and productivity, and that more intense and destructive fires may lead to excessive and inefficient suppression effort. Why might firefighting organizations be unresponsive to the types of economic incentives discussed above, and what are the implications? These questions require an examination of the organizational foundations of firefighting and their consequences. The above discussion of optimal wildfire suppression ignored the details of the institutions and organizations that allocate suppression resources. In particular, the simple approach ignores the complex nature of political institutions and property rights to landscapes, and how this leads to a similarly complex network of organizations that make decisions and allocate suppression resources. By focusing on property rights regimes, we explain the organizational structure of firefighting and its implications. We begin with a history of wildfire suppression development and then provide an economic interpretation of this history. 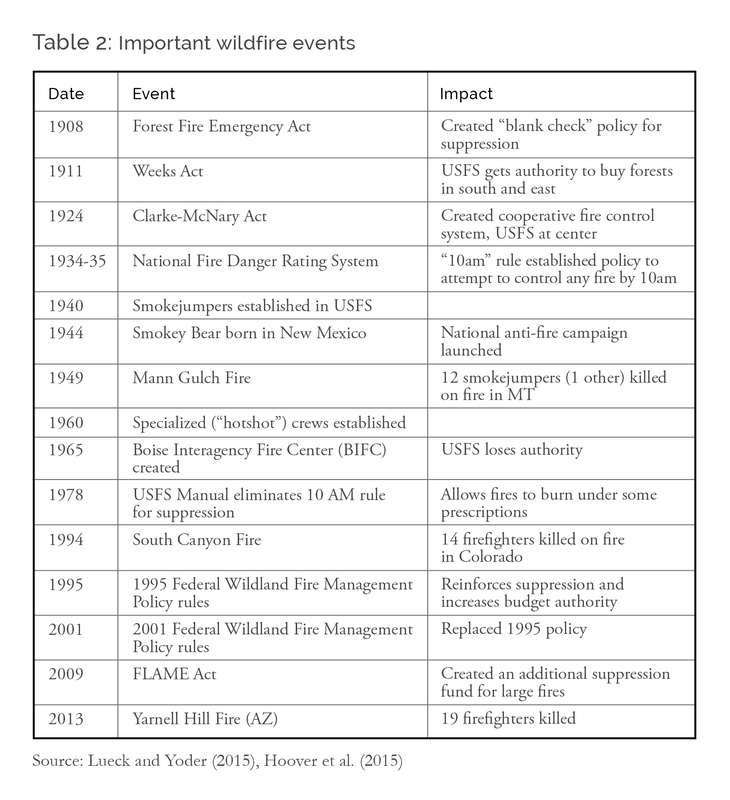 Table 2 provides a summary of important events that shaped today’s wildfire policy and institutions. Suppression effort and organization evolved differently across the country. Wildfire control programs were developed for the Adirondacks Reserve in New York and Yellowstone National Park in the 1880s (Chambers 1987). Around the same time, private forest protection associations emerged to coordinate and cooperate in wildfire suppression for the protection of private commercial timber forests, first in the Northeast and later in the Northwest. For example, by 1910 there were about 10 fire protection associations in Idaho (Allen 1910).19 In the southeastern pine forests there was a tradition of “light burning”—the application of low-intensity fires for vegetation management—that had been an integral part of these firescapes since prehistory and continued well beyond initial European settlement. In this region private suppression was less important than ongoing active fire management in pine forests. The early 20th century brought major changes, coincident with the expansion of the National Forest System and the U.S. Forest Service (USFS). From 1894 to 1906, national forests expanded from zero to 175 million acres—an area larger than the size of Texas. In 1908, the Forest Fires Emergency Act authorized the USFS to spend whatever available funds necessary to combat wildfires in national forests and fund fire prevention and control programs (Forest History Society 2012a). This “blank check” budgeting process continued until the 1980s, when budgetary limits were imposed, but it was re-established soon after large fires occurred in Yellowstone in 1988, and it remains more or less intact today, as we discuss in the next section of this report. The Great Burn of 1910 in Idaho and Montana was a large, devastating fire that burned three million acres, killed 85 people, destroyed thousands of buildings, and consumed several towns. Giant 19th-century fires in the Northeast and Great Lakes states provided an impetus for the development of private and state-level suppression organizations, but the 1910 burn dramatically increased federal involvement in wildfire suppression and changed public land management policy throughout the 20th century (Egan 2009; Pyne 1999; Forest History Society 2012b). By the 1910s, the U.S. government had become the nation’s largest owner and manager of forest land and was given the authority and funds for aggressive suppression. The 1910 burn occurred largely on national forests, so it is not surprising that the USFS developed its own firefighting infrastructure in response. Furthermore, much of the acreage burned in the 1910 fire was valuable old-growth forest land where the valued asset was the fuel, so the federal government had a similar incentive as the organized private timber associations in northern states to pursue aggressive suppression. Today the structure of wildfire suppression is roughly the same. 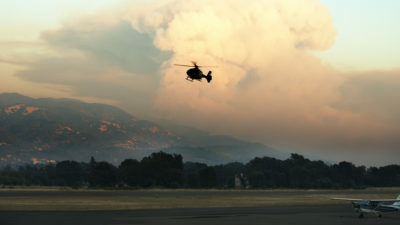 In general, initial attack is the responsibility of local authorities, which can include crews from federal land agencies such as the USFS or the Bureau of Land Management, state land agencies, private landowners, and municipal or county agencies.21 Crews from the largest agencies usually manage extended attack for large fires, and resources are coordinated by the National Interagency Coordinating Center in Boise, Idaho, which serves as a clearinghouse for information on suppression resources and is the sole dispatcher for many firefighting assets. Since 2004, wildfire logistics have been merged into the national “incident command system,” which is a standardized approach to managing emergencies.22 Under this system, the incident commander is the decision-maker in charge of suppression decisions and the leader of an incident management team classified by the size and complexity of the wildfire. Local, state, and federal governments all fund wildfire suppression. Of the non-federal agencies, the largest by far is CAL FIRE, a state agency with responsibility for wildfire suppression on more than 30 million acres of land in California and a wildfire suppression budget of $762 million in 2014-2015.23 On the federal side, Congress appropriates general funds to USFS and the Department of the Interior (DOI) for wildlife management under two distinct accounts: the Wildland Fire Management account (WFM) and Federal Land Assistance Management and Enhancement Act reserve account (FLAME).24 The FLAME account provides suppression funds available for large fires, while the WFM account includes separate items for preparedness (staffing, training), suppression, hazardous fuels reduction, and site rehabilitation. In fiscal year 2015, more than $3.1 billion in fire-related funds were appropriated through these accounts to the USFS and DOI combined (Hoover and Bracmort 2015).25 Of this amount, just under $1 billion was appropriated for suppression, with the remainder going to preparedness, hazardous fuels reduction, and other fire-related purposes. Typically, the USFS receives about two-thirds of the total suppression funds allocated, with the DOI receiving the remainder. As we discuss below, in years in which firefighting expenditures exceed the WFM and FLAME appropriations, Congress has always funded the difference with supplementary funds. The evolution and current state of wildfire organization has important implications for the efficiency of wildfire suppression management today, particularly as it relates to assessing wildfire policy in light of changes in land values and landownership. 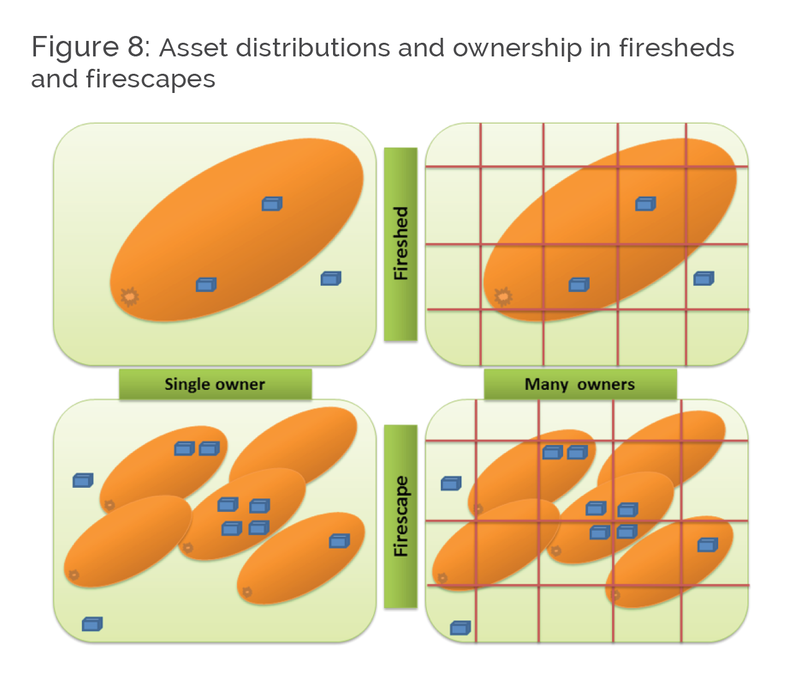 Ideally the ownership of a fireshed or firescape would be specified so that asset owners, firefighters, and wildfire agencies face the full marginal costs and benefits of their actions.26 There are several reasons why real-world outcomes are likely to deviate from this basic economic benchmark, however, and why there is an underlying economic logic to the existing nationwide suppression network. 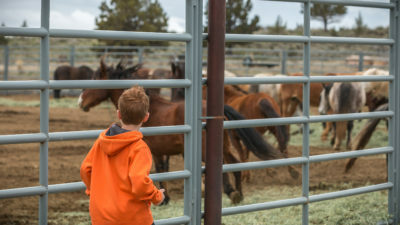 First, firesheds and firescapes tend to be large and spread across a mosaic of private and public land holdings, especially in the West, which requires an agreed upon protocol among landowners. Because fires occur relatively sporadically and infrequently in a given fireshed, there are good reasons to coordinate mobile suppression resources across even larger firescapes. Second, because of the gains from specialization (such as “hotshot” crews and aircraft-delivered fire retardant), suppression is most cheaply provided by specialized parties rather than individual land managers, adding yet another layer of relationships. Given the costs of coordinating suppression across vast firescapes, there is economic logic in vesting wildfire suppression responsibility in a public entity analogous to public water and wildlife management agencies (Lueck 1989; Lueck and Yoder 1997). Transferring wildfire suppression responsibility to a public agency can reduce the number of decision-makers from many (e.g., all private landowners in a fireshed) to one (e.g., an agency decision-maker), thereby simplifying the coordination process. It may also allow for gains from economies of scale.27 CAL FIRE is just such an entity. 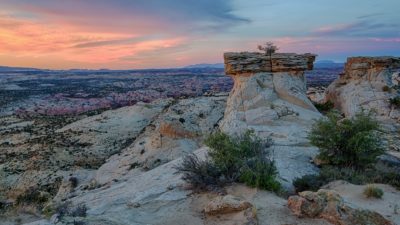 In the rest of the West, where federal landownership is dominant, the USFS and the Bureau of Land Management have become the primary suppression organizations. Because of the emergency nature of fire suppression, there is also an economic logic to stationing trained crews at locations throughout fire-prone landscapes to reduce the time from fire detection to active suppression. This dispersion of assets has historic roots in a vast and early network of fire lookouts throughout fire-prone environments. Centralized federal dispatch of wildfire suppression assets became even more valuable with use of aviation in firefighting and the development of the interstate highway system, both of which meant that suppression assets could be moved long distances more quickly from a fire in one region to another. Although there is a clear economic logic to the federal-agency-dominated suppression network that we use today, the structure is also filled with incentives and constraints that limit its ability to generate efficient actions. First, public firefighting agencies do not bear the losses from a fire. If valuable commercial timber is destroyed during a backfire ignited by firefighters, the owner of the timber will bear the burden of the loss, regardless of the success of the backfire (Bradshaw 2012). In addition, firefighters earn extra compensation and “hazard” pay during active fires, which can provide an incentive to keep fires active. Similarly, crew bosses and regional or national resource dispatchers are not the residual claimants of their decisions over asset protection and are limited in their time- and place-specific information about fires. The structure of the organization in the face of the emergency nature of suppression may also lead to a situation in which incident commanders and other high-level decision-makers may also have career advancement incentives to let fires grow large much in the same way military leaders often have incentives to expand military action. Second, firefighters also do not directly bear suppression costs themselves. Since public-agency firefighters do not own the assets they are trying to save, they are not the direct residual claimants of their efforts. 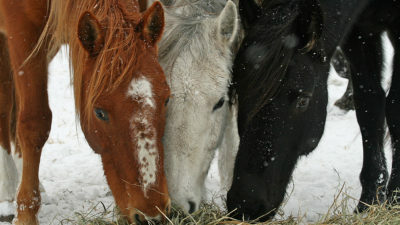 This creates a degree of separation between their actions and the benefits their services provide. Consequently, public wildfire suppression agencies have weaker incentives to be discerning about the efficient allocation of resources across competing suppression and protection uses than would a private landowner who bears the direct costs of their actions. This incentive problem may in part explain the fact that public firefighting institutions have evolved so that firefighters are highly constrained by rules of engagement, such as strict chains of command and safety rules.28 Because they do not own the assets they are protecting and are incentivized only indirectly through retention and future promotion, stringent rules of engagement—much like those used in military organizations—are used to compensate for the weak or misaligned incentives inherent in public firefighting pursuits. Third, private landowners whose assets are at risk of damage do not pay the full costs of fire suppression and have weak incentives to reduce risk before fires occur (Kousky and Olmstead 2014; Yoder 2014). Fire suppression costs are rarely directly charged to landowners for the protection and suppression services they receive. 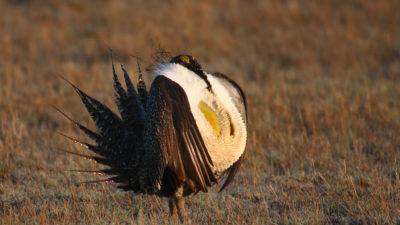 Instead, the costs of these services are mostly paid through general taxes, which spreads the costs over a large taxpayer base and severs the connection between a landowner’s contribution to protection and suppression services and the costs of these services. Thus, landowners have imperfect incentives to manage their land or activities to mitigate these costs. Fourth, asset owners may influence the decisions of public suppression agencies to their advantage at the expense of others—in other words, property owners can have motives for rent-seeking. Because public firefighting agents do not own the assets they are protecting, asset owners have an incentive to provide information to and impose pressure on firefighting agencies to direct resources toward protecting their own individual private assets (Tollison 1982). To the extent that this information and pressure is informative about the relative value of assets at risk, it can improve the economic effectiveness of firefighting because it can help direct those resources (Potters and Van Winden 1992). However, to the extent that it skews resource allocation toward protecting the assets of those who are effective at securing resources for their own benefit at the expense of protecting more valuable assets, this activity can reduce the economic effectiveness of public firefighting efforts. Fifth, although firefighting resources may be scarce during any given fire, the public agencies that fund firefighting activities essentially face no budget constraint in their pursuit of putting out fires. The reason for this is relatively straightforward: Cutting off funding for firefighting resources when a fire is threatening private assets and human lives is not politically feasible. The “blank check” for firefighting reduces incentives for cost-saving and exacerbates the potential for successful rent-seeking as described above. Will funding and policy reforms improve things? The evolution of firefighting organization over the last century is evidence of the economic trade-offs among different organizational and administrative options. In the past few years, Congress has discussed possible alternative wildfire funding structures to the current administrative approach, and numerous bills have been written and discussed in committees (Hoover et al. 2015). When it comes to suppression, much of the public concern is focused on the increase in federal wildfire expenditures rather than the underlying incentive structures that generate the outcomes we observe. 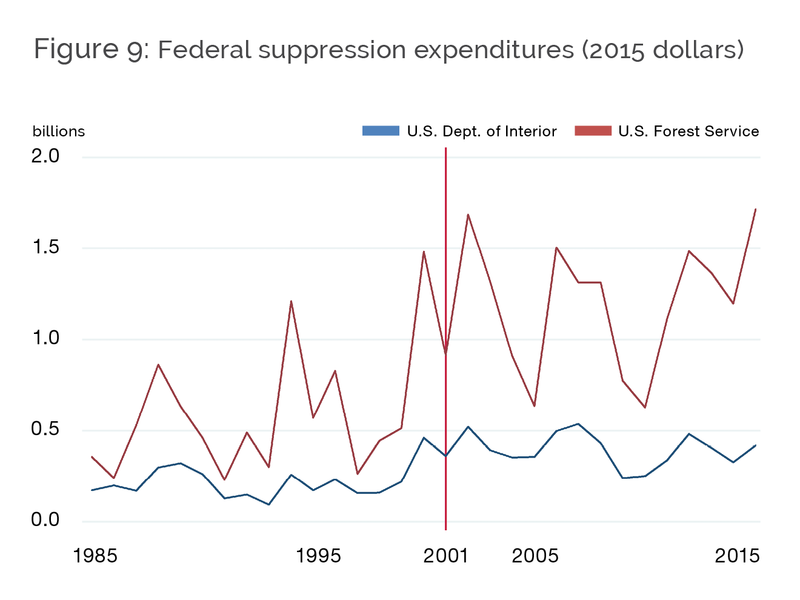 Figure 9 shows federal suppression expenditures from 1985 to 2015 for both the U.S. Forest Service and the Department of the Interior. 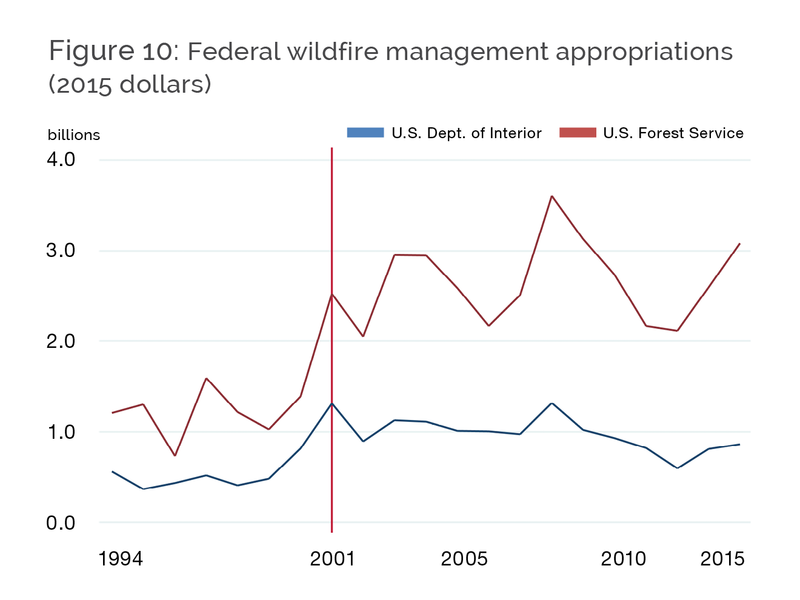 Similarly, Figure 10 shows total federal wildfire management appropriations from 1994 to 2015. Both figures show markedly higher values for the period since 2001, and this is not coincidental. The 2000 fire season was relatively severe, and the Clinton administration sought additional funding for the major fire suppression agencies (Gorte 2011; Hoover et al. 2015). Congress approved the higher level of funding for wildfire management, and it has remained high ever since. The average WFM appropriation from 1994 to 2000 was $1.2 billion, while the average from 2001 to 2015 was $3.2 billion. For suppression expenditures, the average from 1985 to 2000 was $487 million, while the average from 2001 to 2015 was $1.4 billion.32 Commentators on the recent large budgets for wildfire management and suppression tend to generally ignore the major funding shift that took place in 2001. In terms of economic incentives, the larger WFM appropriation has meant increases in preparedness (e.g., staffing of resources), which would be expected to increase suppression efforts once fires have started. This can happen because once firefighters and other resources are staffed and available, they are essentially free to use from the perspective of incidence commanders. The fact that Congressional wildfire funding levels have changed dramatically since 2001 suggests that we should be cautious drawing inferences about the causes of higher levels of federal suppression expenditures. Identifying causation between the expenditures on wildfire management (including suppression) and the number or size of fires is exceedingly difficult. Without this understanding, policy reforms are likely to miss the mark. Did larger fires lead to larger wildfire budgets, or did larger wildfire budgets lead to larger fires and greater suppression expenditures? The difficulty in identifying causality is two-fold: First, agencies and other stakeholders have incentives to lobby for greater fire budgets and to use them, regardless of the existing fire conditions. Second, there are confounding factors, most notably climate change and increasing development in the WUI, whose effects on overall wildfire outcomes are complex and difficult to identify. If implemented, will these proposals improve wildfire management? The answer is unclear. In general, they would give the agencies a larger overall budget and grant them more flexibility in spending those resources. These additional funds may help reduce wildfire damage to the extent that it is applied effectively toward property protection and wildfire suppression. Importantly, however, none of these proposed funding changes alter the underlying incentive structure of the public agencies engaged in wildfire suppression. There would be just as much incentive to spend as before, and even less fiscal juggling involved in order to do so. If the incentives for allocating suppression resources would be no different under such proposals, additional funding may not increase efficiency and may lead to even higher overall costs of wildfire. Donovan and Brown (2005) argue that two fundamental incentive problems exist that lead to increasing (or at least inefficiently high) suppression costs: an emphasis on minimizing acres burned and the “blank check” available to fund suppression. They recommend that firefighting agencies consider and account for the value of letting fires get bigger when the costs of doing so are low (a “let-burn” policy), and they also propose fixing base funding for fire management at a constant level while allowing fire managers to “bank” funds to address future firefighting needs. A “let-burn” policy in the context of our model would look much like one that actively allocates firefighting resources away from suppression and toward protection of assets at risk (Cohen 2010). The goal would be to better balance damage and suppression costs to lower the overall costs of fire. It is not clear, however, that this would lead to lower fire suppression expenditures, but it is an especially compelling option where continued fuel growth might lead to even more extreme wildfires in the future if fires are “excluded” from the landscape (Donovan and Brown 2007; Hurteau et al. 2016). The federal government has implemented “let-burn” policies in one form or another several times in the past, but the strategy is politically risky because an active decision to allow a burn to continue implies that subsequent property damage, whether foreseen or not, is at least indirectly a result of the policy decision itself. Fixing base funding rules is also politically difficult because it would create a binding budget constraint that would be imposed from year to year. Without an option to “bank” unspent funds, firefighting organizations would have an incentive to spend all of the funds each year. If banking were allowed, however, firefighting agencies would have an incentive to spend more efficiently on wildfire management. Banking would provide some opportunity cost of current expenditures in the form of what could be done with the funds during the next wildfire season, and so it provides some incentive to reduce costs or otherwise save. In addition, it would enable firefighting organizations to effectively relax the budget constraint for the current year if they were able to reduce costs below the previous year’s budget. Donovan and Brown’s (2005) proposal is an example of a policy change that might change incentives at the margin for fire managers making on-the-ground decisions, which is what is needed to affect real change in costs and outcomes. Another perspective focuses on reducing fire risk before fires start by affecting the way in which assets at risk of wildfire damage are organized or managed. Hazardous fuels that provide energy for ignition and extreme fire behavior can be reduced or modified before fires happen. At-risk properties can be “fire-proofed” in one form or another, and their spatial allocation across fire-prone landscapes can be managed (Calkin et al. 2014). “Firewise” programs, for example, focus on reducing the risk of home and property ignition and loss through landscape and building material modifications (Bright and Burtz 2006). But public land managers’ incentives for effective fuels management are also problematic. 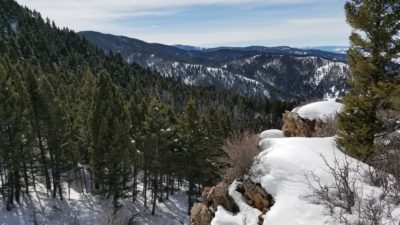 Land managers charged with prescribed burning and mechanical thinning for fuel management are incentivized to “treat” as many acres of land as possible with their available budgets. This means they have the incentive to treat the acres for which treatment is the easiest (lowest cost). However, the effectiveness of fuels management varies with fuel characteristics (Stephens and Ruth 2005), and it is likely that the most fire-prone land is also harder and more costly to treat than land with low fire risk because of the build-up and structure of biomass. This implies that land managers may be incentivized to treat exactly those acres that present the lowest wildfire risk and leave the most problematic (and most costly) acres untreated. While land managers undoubtedly recognize this conundrum, its impact of the effectiveness of fuels management persists. Wildfire is a complex phenomenon, and its management and response is governed by a complex set of institutions and organizations. Fires can lead to devastating, deadly, and dynamic outcomes, which often lead to outcries for policy changes. In this regard, wildfires are much like natural disasters such as hurricanes, tornadoes, earthquakes, and floods. But wildfires are different from most disasters in that both the cause and the outcome depend in large part on human action, which means that policy is more complicated than simply an emergency response.34 Wildfire occurrence, as well as the resulting damage, will depend on human behavior, which means the issue is inherently a land management question and one that implicates land-owning agencies as well as private landowners, both large and small. We began this report by posing a set of questions. To answer them, we first sketched the economics of optimal suppression and then noted the difficulty of assessing the question of efficient suppression given the available data. We have noted the weak incentives in suppression organizations to generate efficient outcomes and how many proposed reforms would do little to change this. Although we did not explore in depth the variation among such organizations as CAL FIRE, USFS, and the National Park Service, we note that these organizations each behave quite differently. Our assessment of the current policy reforms indicates they would do little to change the underlying incentives, but other changes might be considered to generate efficient suppression strategies. One is the proposal by Donovan and Brown (2005) to allow agencies to “bank” unspent wildfire suppression funds for future firefighting needs. Another is to begin to treat WUI regions like urban or rural fire zones, where tighter controls on individual preparedness and fuel management (e.g., requiring fire-resistant building materials and safe zones) have dramatically reduced the incidence of residential fires. The WUI means two things in our economic approach: more values at stake and more human-caused fire starts. The recent Fort McMurray fire would have been far less destructive half a century ago, when less than 2,000 people lived in the greater region. It became important because there are now roughly 80,000 inhabitants, residences, and valuable investments in oil production there. As a natural phenomenon, wildfires are not like earthquakes or other natural disasters: people affect the risk of ignition and behavior of a fire even before a fire starts by altering and managing firescapes. This human influence continues once wildfires have started. In this regard, incentives matter and can dramatically affect the nature of fire and its overall effects. Nonetheless, getting the incentives right is difficult when it comes to wildfires. For legitimate economic reasons, suppression organizations are large and complex, trading off common-property and coordination problems among property owners against the weak and sometimes perverse incentives of public bureaucracies. There is some potential to improve the incentives for wildfire risk management and firefighting priorities, but doing so will be difficult—and it will require political resolve. Given that the recent proposals for wildfire budgeting would do little to change the underlying incentives of wildfire management, it is unlikely that they will improve the efficiency with which wildfires are managed. 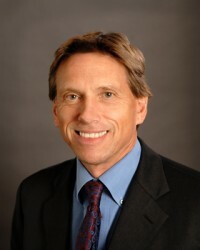 Dean Lueck is a professor of economics and director of the Program on Governance of Natural Resources at the Ostrom Workshop at Indiana University and an Affiliated Professor at the Maurer School of Law. 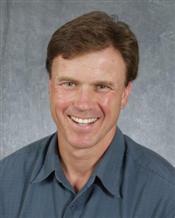 He is the author of several academic articles on the economics of wildfire management and a contributing co-editor (with Karen Bradshaw) of Wildfire Policy: Law and Economics Perspectives (Resources for the Future Press, 2012). In 2015, he was a PERC Julian Simon Fellow.